Jörgen och Torbjörn Byggare AB is a construction company that started in 1989 in Ljungskile on the swedish westcoast. Over the years they have gathered an extensive knowledge within the field of construction and renovation. The company works mainly on the private market in the Ljungskile region and with projects such as new buildings, alterations and extensions, foundation and excavation works, roofing works, bathroom renovations and insurance claims. The owners Jörgen and Torbjörn are helping each other cost estimating the projects and to handle project management. The spreadsheet program Bidcon was purchased in the year 2000 and a few years later Sitecon was bought to cover the need for project management. – Me and Torbjörn help each other to cost estimate the jobs and we use Bidcon every time we are to make a bid on a project. Before we had Bidcon we used Excel, but to be sure that nothing is left out or forgotten and that the program sums everything up on the end page, convinces us to use Bidcon today, says Jörgen. 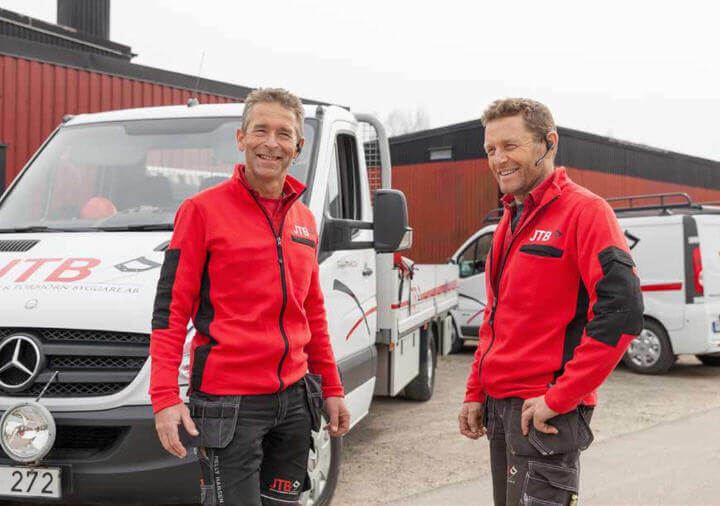 Jörgen and Torbjörn uses only a small part of Bidcons capacity, but still considers the program to be an asset. They do costings a few times a week and depending on the type of project involved, they use different approaches. For large projects such as extensions and villas they use the feature “building component types”, where they just add square meter and at the same time assures themselves that all material and time required for each step is included. For smaller renovation projects they add manual entries with material and time required and then adjusts these entries if needed. – We are no “computer hackers”, so we are a little bit afraid to test and see what features there are in the program. We understand that there are many more features in Bidcon that would facilitate and help us to save time, but with the features we are already using today, we are much helped. The project management program Sitecon is used for all kind of projects. Diary and all documents related to the project are gathered here. In Sitecons project folder are all tenders, documents concerning material, images, e-mais, bills etc. saved and collected at the same place. Documents that are not received electronically are scanned into the program so that they can be collected to the same project folder.